Getting information about the long-distance moving company that you are going to use is critical; we are after all talking about packing up all of your stuff and moving it potentially hundreds if not thousands of miles. You don’t want just anybody. You want to be able to trust your Beverly Hills movers. Our Reputation in California Speaks for Itself! Here is what we offer our customers—peace of mind knowing that we take every precaution to ensure that nothing shifts or gets damaged during transport. Constant communication. 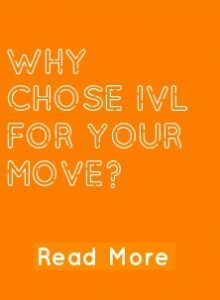 We know that you get worried as your move progresses. You do not have to worry with us. We always keep you in the loop and we are always upfront and honest about everything that we do. Some moving companies, whether interstate, cross country, or long distance, will give you one price and then lo and behold, once all is said and done, there are hidden fees and charges. This certainly does not represent the way that we do business. After talking to one of our representatives, you will be presented with a thorough and detailed quote for your long distance move. We stand by this because we know that our reputation depends on it. What sorts of things should you consider doing before undertaking a move from Beverly Hills? How about making sure that you have changed your address with all of the proper entities. Also, you want to start organizing your items according to what the room they will be put in. This will make it so much easier when we do get to your final destination. Another thing to think about, how to stay organized throughout the duration of your long distance move. You might utilize a notebook. You might create a file on your computer to keep track of what has been done and what still needs to be done. Every bit of organization helps! Our process is really simple. When you know you are ready to hire a moving company in the Beverly Hills, California area, simply get in touch and we will walk you through the what happens next. You’ll need to comprise a list of all of your belongings that will be involved in the move. Make sure you also note any special items—things like motorcycles, golf carts, pianos. Once we gather your details, we will generate a comprehensive estimate for your move. And that is really all there is to it! International Van Lines was ranked #1 by moving.co. Read more about us and check out some of our reviews.